Yesterday, we covered the report that the Los Angeles Rams had met with South Alabama TE Gerald Everett, Wisconsin LB Vince Biegel and Bucknell OT Julie’n Davenport during the first day of practices on Tuesday at the Senior Bowl in Mobile, Alabama. 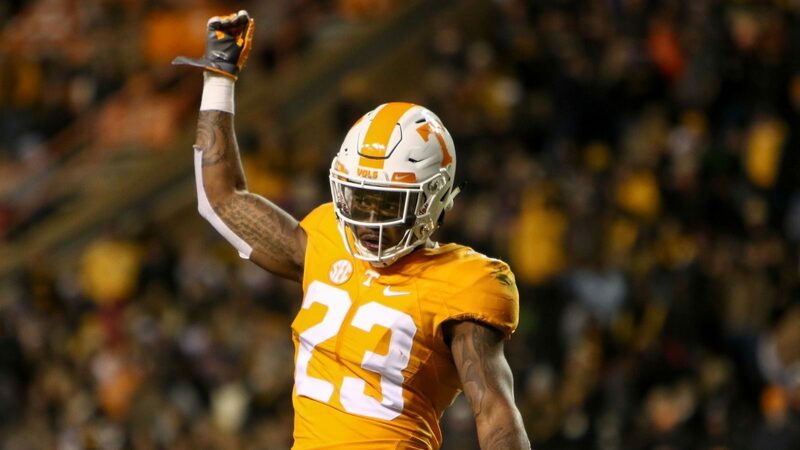 Today (again per NFL.com’s Chase Goodbread), we have just one name to add to that list from their time on site yesterday in Tennessee CB Cameron Sutton. Sutton was a four-year starter in Knoxville, so he’s got tons of experience. Having faced SEC wideouts doesn’t hurt either. He did miss some time this year with an ankle injury, though he looked fine down the stretch. Any lingering issues there would surface during the medical check at the combine next month. He’s a hell of an athlete, but his size (5’11”, 182 lbs.) and the implied lack of physicality will be the biggest issue in transitioning to the NFL. This comes on the heels of a mock from NFL.com’s Chad Reuter I just posted in which the Rams spend their second-round pick on Clemson CB Cordrea Tankersley, so perhaps it’s worth it to start putting some time into looking at this year’s CB class with more zeal. FWIW, Sutton goes out at #100 in Reuter’s mock, the last pick he included.